run predefined tasks whenever watched files change. running tests using Sauce Labs (supports QUnit, Jasmine, Mocha and YUI tests). 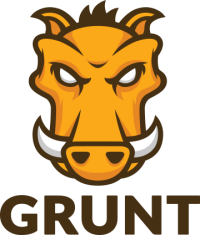 There are already hundreds of plugins to choose from, so Grunt can be used to automate just about anything with little effort. List of plugins is regularly updated (when a new Node.js module with the keyword “gruntplugin“ is published, it is automatically added to the list).